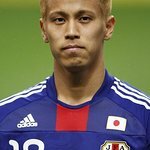 Keisuke Honda is an entrepreneur and forward for professional Italian soccer club A.C. Milan. He started his professional soccer career in 2005 playing in Japan, and has played in the Netherlands, Russia and now Italy, wearing the coveted number 10 for A.C. Milan. He also represented Japan in both the 2010 and 2014 World Cups and was the only Japanese player to record a goal in both tournaments. As an entrepreneur, Keisuke started his own management company, Honda Estilo, in 2007. The philosophy of the company is to provide hopes and dreams through sports. The company’s youth soccer program has now grown to over 60 schools and 3,500 students. In 2015, Honda also decided to acquire a professional soccer club in Austria to provide a direct path for the students to become a professional soccer players. Philanthropically, Honda has dedicated his offseason to conducting soccer camps around the world in countries such as Cambodia, China, Indonesia, Japan, Thailand, Vietnam, and the United States. He also donated a soccer field to the city of Ishinomaki, which was devastated by the Fukushima earthquake. More recently, Honda also made a donation for those that were affected in the Kumamoto earthquake. His company will also hold a soccer tournament with all proceeds going to the relief efforts in Kumamoto. Google trends for "Keisuke Honda"
We don't have any videos related to Keisuke Honda.